Suzanne Colbert AM commenced her work in the disability sector over 20 years ago, assisting people with significant disability into well paid and sustainable jobs as a disability employment service consultant. She then became founding General Manager of a high performing Disability Employment Service and inaugural Chair of the peak body representing employment services for people with disability. In 2000, Suzanne’s expertise at working with employers to enhance inclusion of people with disability led to the creation of the Australian Network on Disability (AND), previously known as Employers Making a Difference. AND is at the forefront of business inclusion strategies for Australian employers when it comes to welcoming people with disability as employees, customers and stakeholders. As CEO, Suzanne is a key influencer of many of Australia’s largest and most successful public and private organisations. She works closely with AND members to assist them to develop the behaviours, skills, attitude and knowledge to effectively include people with disability. In 2010, Suzanne was awarded an AM in the Australia Day Honours list in recognition of her dedication and commitment to building an inclusive Australia. 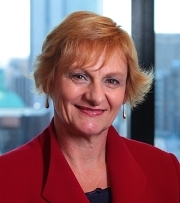 In 2013 she was inducted into Disability Employment Australia’s Hall of Fame, and she was also listed in the top 100 in the AFR/Westpac 100 Women of Influence Awards. Suzanne is married to John Little who is a successful businessman and a long term wheelchair user. Together they have a blended family of four adult children.